With a new drag-tuned adjustable suspension bolted up, a Moser solid rear axle helping get the power to the pavement, and a 1,000 horsepower Chevrolet Performance LSX376-B15 race mill destined to go back into the engine bay, Project True SStreet is well on its way to becoming a terror both on the road and at the strip. Project True SStreet has been an ongoing work in progress for a while now, but the big pieces are coming back together and we can start to really hone this package in. We’re shooting for e.t.’s in the mid-nine second range once this burly LSX376-B15 mill finds its way back into the engine bay. But as its performance potential moves deep into nine-second territory and well beyond what the factory had originally envisioned, it’s time to start looking at ways to bolster the robustness of this setup and make sure that key components are adequately protected from potential damage. To that end we’re upgrading the oiling system by way of a Canton Racing oil pan and pickup tube, and relocating the oil filter with a remote mounting fit to free up some real estate under the hood and provide better access. Here we’ll look at the features of the oiling system upgrades with some insight from the experts at Canton and then go through the key points of the installation. While selecting a pan that would fit the platform, clearing the engine cradle was obviously the most important element of the selection process. We also needed a system that would help provide better oil control during the hard launches that True SStreet will deliver once all is said and done. At this level of performance, oil starvation is a serious concern and if left unchecked it can cause major internal damage without warning. Canton’s wet sump drag racing oil pan for LS engines (PN 13-274A) addresses this issue from a fundamental design standpoint based on maximizing efficiency rather than increasing volume. “An unfortunate theory that is prevalent in the LS communities is to just throw some extra oil in and that should solve the oiling problems,” says Canton Racing’s Jeff Behuniak. 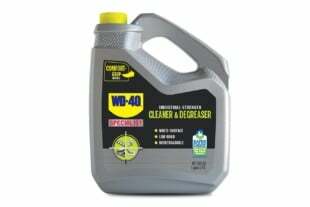 “Not only is this wrong, it can also cause problems with windage.” Windage is a term that describes the turbulence that is created in the crankcase as oil spray mixes with the air flow under the pistons and around the crank, which if left unchecked can create a parasitic draw on overall engine performance. The roster of upgrades includes the pan and pickup along with a GM LS oil pan stud kit, the remote filter relocation hardware, and a billet aluminum spin-on filter adapter. Though it fits in the same space as the stock pan, Canton's offering differs significantly from the stock piece in terms of design and construction. This aluminum drag race oil pan was originally designed for installing LS1/LS6 blocks into earlier chassis, and it can be used with A, F, Y, and 1970’s X body cars. It has 6-1/2-inch deep, 9-inch long, 11-3/4-inch wide sump, and features fully fabricated aluminum construction, which is significantly lighter than cast pan designs. Since the Earth’s gravity offers 1g of downward force on its own, you can surmise that with 1g of accelerative force, the oil in the pan is being pushed back into the pan at a 45-degree angle. With 1g of downward force applied to the oil by virtue of gravity and roughly 1g of lateral force applied when accelerating, the combined force will push the oil to the back of the pan at a 45 degree angle. These forces typically occur during high-load launches in drag cars, right when the engine needs proper oiling the most. Not only can this cause parasitic loss of performance, it can lead to premature failure of internal engine components. “Racers will find themselves with all sorts of oiling problems if they’re not using a performance oil pan in this situation,” he adds. And when it comes to performance, weight is almost always the enemy, so reducing front end mass is key for drag racers looking for fast weight transfer to the rearend at launch. 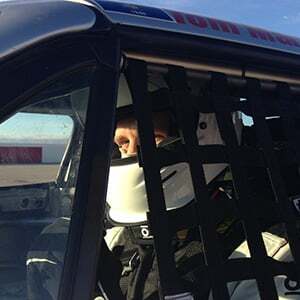 “Most drag race guys are looking to cut as much weight as they possibly can,” Behuniak points out. Canton Racing's motorsport-spec oil pickup features a 1.250 in. tube diameter and is designed to work in tandem with Canton's LS engine swap oil pans. Shedding off whatever excess bulk that can be ditched at the nose of the car will no doubt be beneficial at the strip, but some builders have concerns about how Canton’s pan design differs from that of the factory piece, as the stock pan is considered a structural component of the engine. But Behuniak says the upgrades that are likely involved with builds like these already address those concerns. With the engine on a stand and out of the car, the installation process is rendered significantly more straightforward than it would be with the mill already stuffed in the engine bay. We reused the windage tray that was previously part of the setup in all of our engine testing, which you can read about here. We can look at the differences between the new Canton Racing oil pickup (left) and the old pickup we pulled out of the LSX376-B15 right here. You can see how much more restrictive the inlet is on the old piece - this hampers the oil pump’s ability to pull in oil, and the issue is only made worse by a high volume oil pump like the one we've been using on this engine. After pulling the old pan and pickup off the engine we had a chance to take a closer look at what the engine was previously working with. Along with the improved baffling of the Canton piece, which should provide more controlled distribution of oil during high lateral loads, the new pickup tube’s inlet isn’t as choked as the old piece, which should make the oil pump’s job a lot easier. A look at where the oil pump pick up tube feeds into our oil pump. Unlike previous generation small-blocks, this oil pump is at the front of the engine and is driven directly off of the crankshaft. With the old components off, it was time to check fitment to make sure our reused parts would play nice with the rest of the setup. We wanted to use our existing windage tray with the new Canton pieces, so before going any further we wanted to test its compatibility with the new oil pickup tube. After making a few minor modifications to the tray, we were good to go. After ensuring everything was copacetic, we were ready to begin installing the new pieces, starting with the new high-strength pan studs. These upgraded studs provide more even clamping loads than with traditional bolts, in turn creating a stronger seal between the engine block and the new pan. Installing the studs that secure the pan to the engine. Since they're stronger than the bolts they're replacing, they should provide even better clamping loads, and in turn, better sealing. The construction of the pans differs wildly between the stock LS piece and the Canton Racing pan, as the factory pan is cast aluminum while the Canton pan is sheet aluminum. The Canton pan will save us quite a bit of weight off the front end while providing the oil control we need. After installing the new studs and putting a gasket on the new pan, we were ready to get the new pan on the motor. Like disassembly, this process is made easier here by the fact that the motor is out of the car, providing easy access to bolt up the new pan and tighten down the fasteners. With the new gasket in place and a proper pan fit verified, the pan is torqued to specifications and the engine is set back onto the cradle. We can't wait for Project True Sstreet to hit the drag strip. We expect mid-to-low 9-second runs to be in its not-so-distant future. Our last step brought us to the installation of the distribution block for the external oil filter mount. While the Canton Racing oil pan has similar dimensions as the stock pan, opting to use a remote filter can free up some much needed real estate under the hood, which can be crucial in cars with aftermarket headers and other components that can eat up room near the engine block. Here you can see that we’ve mounted the distribution block for the external oil filter mount. From here we will run two -10 AN lines to feed the oil filter mount and return oil. Along with addressing clearance issues – be it from headers, suspension hardware, or even ground clearance – using a remote filter can allow you to mount the filter in better locations, and potentially make quick filter changes much easier. While it’s easy to get distracted by power-adding modifications as a means of going faster, all the horsepower in the world isn’t worth much if it isn’t reliable, and consistency is crucial when it comes to drag racing, Moreover, while these oiling upgrades don’t inherently bolster power output, correcting an oil starvation issue can and will correct the parasitic power loss associated with that condition, and the Canton Racing pan’s weight reduction up front doesn’t hurt either, both of which can contribute to faster e.t.’s. If you’ve got a highly capable drag or road racing machine and you’re pushing that vehicle hard, regularly, you may very well be robbing your engine of oil right when it needs it the most if the lubrication system isn’t properly controlled. But fear not, as the experts at Canton Racing are just a click or a phone call away, and can help you solve that issue before it becomes a much bigger one.